At Lechmaier Family Chiropractic Center we focus on correcting the cause of the problem rather than just covering up the symptoms. 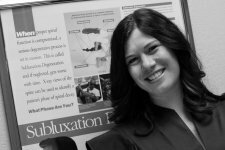 Dr. Jennifer Smith, a native of New Jersey, has been practicing chiropractic in the Central Florida region for the past 15 years. As a pre-med student at Syracuse University, she interned with several different specialists and really took an interest in Chiropractic after interning with a female Chiropractor. At the time, there were not many women in the field and Dr. Jen realized the potential. 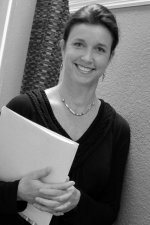 Since graduating Chiropractic School in 1995, she has been practicing in the Central Florida region including Orlando, Cocoa Beach and Lake Mary. In 2006, she joined the Lechmaier Family Chiropractic Center Team. Throughout the years, she has served as Chiropractor to the US Taekwondo Team and was voted as one of "Orlando's Finest Professionals" by Orlando Weekly Magazine. When not in the office, she enjoys spending time with her 3 young children and her talented husband, a nationally renowned artist. Dr. Jen enjoys the challenges that each patient presents. More than that, she enjoys helping her patients reduce their pain, better their health and improve the quality of their life. Dr. Jennifer Smith serves DeLand, DeBary, Deltona and Orange City areas and accepts most insurances, including Medicare and Medicaid. 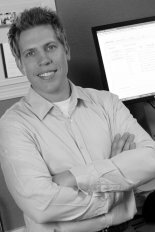 Dr. Tyler Albrecht was introduced to our office in April 2009 as part of his Internship at Palmer College of Chiropractic and then joined our staff the following June. 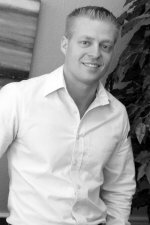 Dr. Tyler's father is a Chiropractor which may have influenced his career path, however what appealed to Dr. Tyler the most was being able to help people naturally without drugs or surgery. Dr. Tyler enjoys working with the center's staff and likes the fact that the focus is on the patients and not just on the business.